So, what does all of this have to do with writing? 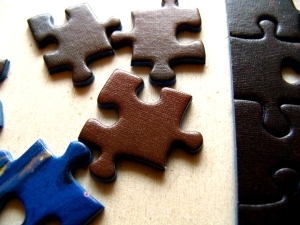 To me, writing is like putting together a big puzzle: each properly placed piece is critical to the final outcome. Quitting can’t be an option if you want to achieve success. Patricia Cornwell once said, “You don’t become a writer—you are one. And, if you really are a writer, it’s like telling a songbird to shut up—you can’t.” That is so true, don’t you think? There is no ‘the way’ to write a story – to set up a plot. It comes down to everyone finding what works for them. For me, I have a general idea about how I want the novel to begin and end, and that’s it. I consider myself an ‘organic’ writer; I start with an image, often not really knowing what is going to happen. The next step comes as the previous is completed. In my book Betrayal of Trust, Janet Thompson was originally to be a minor character. However I enjoyed Janet interacting with Charlotte Bradley, and later Edward Slocum, so much that I was compelled to write her in. Storytelling to me is an act of gratitude to the books and people who have shaped my life. I know it may sound like a highbrow statement but it’s true. I have arrived at this point in my life—not alone—but with the help of many throughout my life. It is important to never forget that and always give that fact credit. This entry was posted in Writing and tagged author, B. B. Wright, Betrayal of Trust, independent publishing, puzzle, story, writing. Bookmark the permalink.